Laura and Jonathan are a wonderful couple from New York, they have decided to set the ceremony, aperitifs, dinner and party around different locations of Villa Mangiacane: ceremony takes place facing the olive grove, aperitifs in the courtyard steps in front of the villa, dinner in the loggia with sweeping views of the Tuscan countryside and dancing party in the lower level of the villa called the barricaia that stores a portion of the villa homemade wine barrels. Guty & Simone “the Italian wedding musicians and DJ” provide the perfect soundtrack from dinner onwards: for the dinner they set up a sound system in the loggia playing a playlist that gives to this moment an “Italian feeling” (based mostly on some Andrea Bocelli easy listening hits and some Italian and international classic songs) and a wireless microphone for the speeches; for the Wedding party they set up their main sound system, instruments, DJ equipment and lights system in the barricaia; the first dance is Jason Mraz “I’m yours” performed live by Guty & Simone, suddenly afterwards they play a mix of dancing live and dj music and they fill the dance floor all the evening. 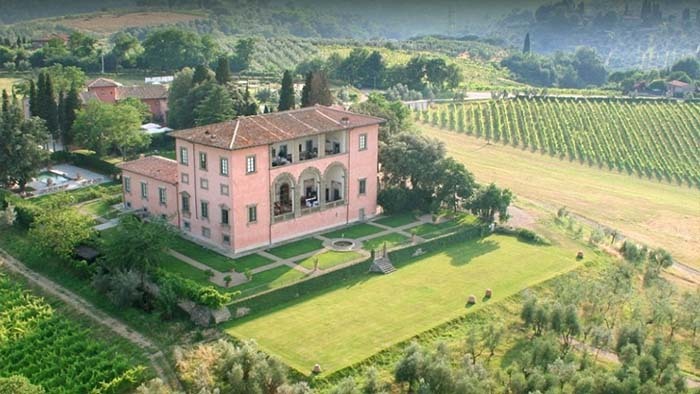 With its stunning panoramic location, nestled in the heart of the winemaking region of Chianti Classico, Villa Mangiacane is a magnificent 15th century property built by the Machiavelli family, bearing the unmistakable hand of the Renaissance master, Michelangelo. It also has an unobstructed view of the Cattedrale di Santa Maria del Fiore and the twinkling lights of Florence on clear evenings throughout the year. 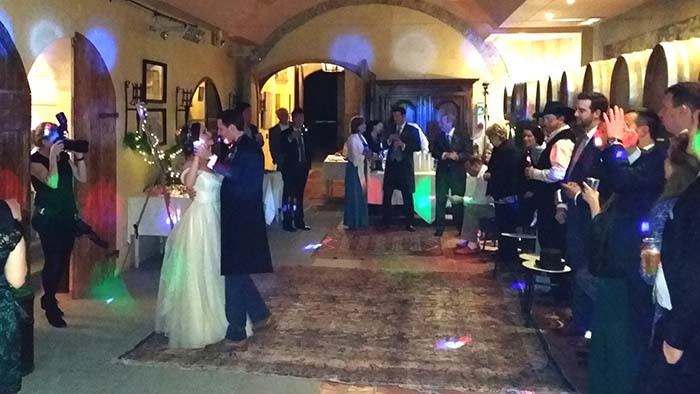 The picturesque Tuscan countryside and unique private villa provides the perfect backdrop for capturing each special memory of a fairytale wedding in Tuscany. 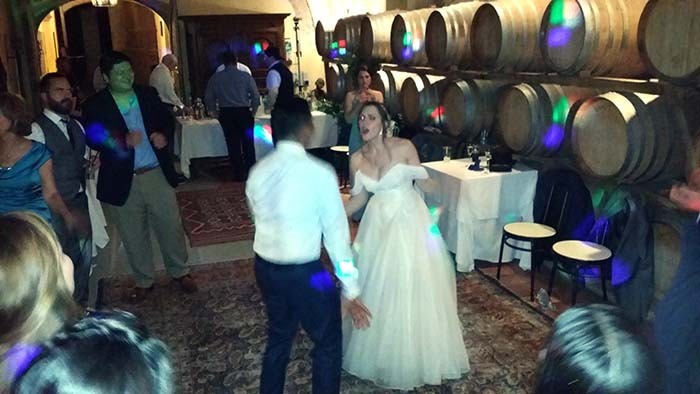 Situated only seven miles outside of Florence and twenty minutes from the airport, Villa Mangiacane promises a distinguished and superior wedding, ensuring nothing less than carefree perfection.